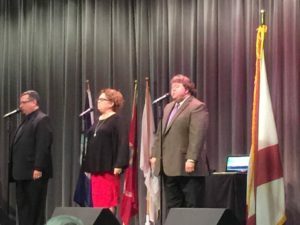 Carthage, TN – The Jackie Wilburn Memorial Spring Sing kicks off April 25 at the Smith County Agricultural Center in Carthage, TN, with several of Southern Gospel Music’s most popular and talented recording artists taking the stage to honor the memory of the late Jackie Wilburn. The event will take place four straight days, April 25 through 28, and will be hosted by Jackie’s son, Jonathan. In honor of this exciting event, Smith County has deemed the week of April 22 as Southern Gospel Week for Smith County. 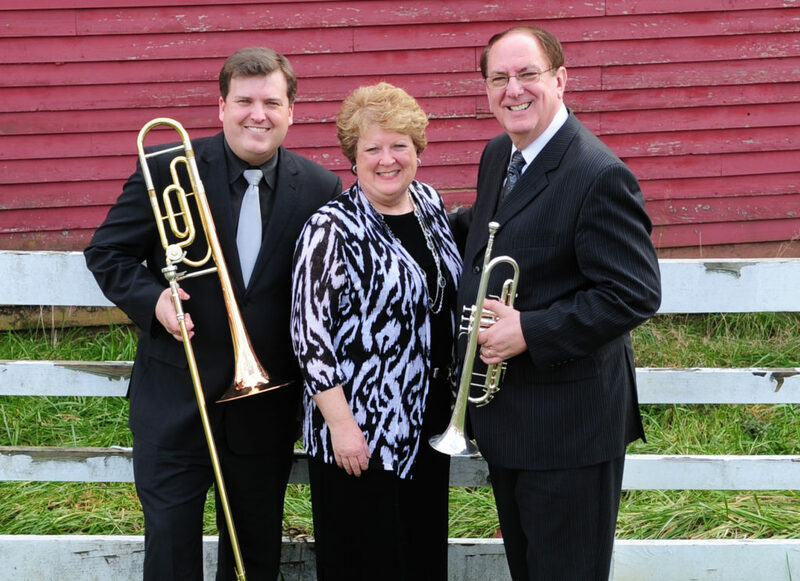 Throughout the four-day event, joining popular soloist Jonathan Wilburn, will be Elaine Wilburn, as well as the dynamic duo of Wilburn & Wilburn, which features Jonathan and son, Jordan, marking three generations of Wilburns together on stage for the event. Thursday night’s line-up will feature Gold City and Jay Parrack, with Jonathan Wilburn, as well as a Gold City Reunion as both Jonathan and Jay were members of the popular quartet for more than a decade. 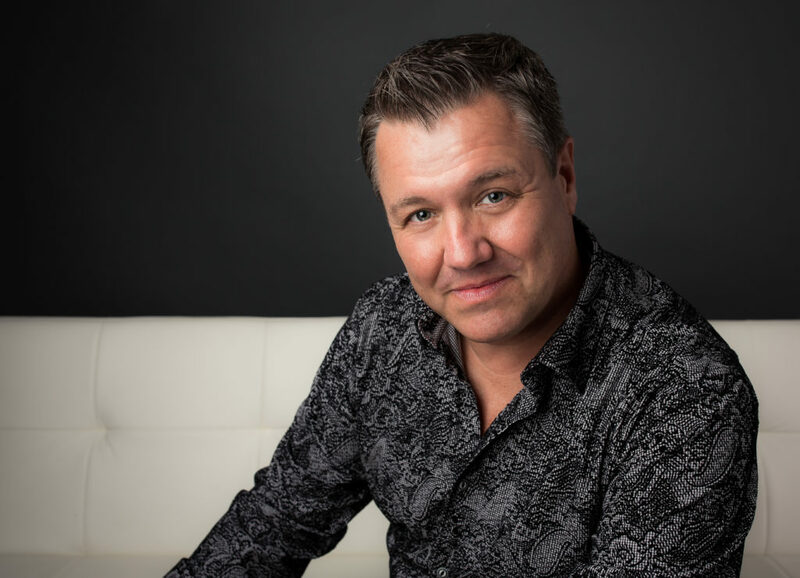 Other talented recording artists scheduled to appear throughout the weekend will include The McKameys, The Perrys, The Inspirations and talented pianist, James Rainey. No tickets are required for the event; however, the requested donation for general admission seating is $10 per person at the door. A love offering will also be received. Concerts Thursday, Friday and Saturday will take place beginning at 7:00pm each evening, with Sunday’s matinee starting at 2:30pm. The Smith County Agricultural Center is located at 159 AG Center Lane in Carthage. The Ag Center is located on Hwy 53 North, just off I-40, a short drive from Music City, USA, Nashville, TN. Plenty of camping is available on the grounds of the Smith County Ag Center. Complete information regarding the Annual Jackie Wilburn Memorial Spring Sing is available at www.jonathanwilburn.com or by calling 256-459-4769. Sue Dodge Celebrates 50 Years of Ministry! Vienna, VA – 50 years ago, a young woman named Sue Chenault was a beautiful young girl who loved Jesus and loved to sing. She sang her very first televised solo at the tender age of five years old and by age 16, she was performing on KATV, Channel 7 every day with The Miller Trio. At age 18, she was crowned “Miss Benton” and went on to be chosen “Miss Congeniality” in the Miss Arkansas Beauty Pageant. Her inner beauty and love for the Lord shine through her beautiful smile and contagious joy, which she is known for both on and off stage. 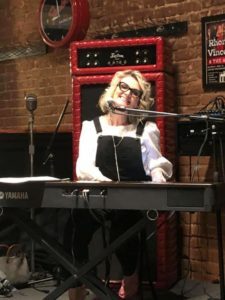 In 1969, The Downings flew Sue to Nashville after hearing her demo tape and hired her on the spot at only 19 years old. After 18 months with The Downings, the legendary Speer Family invited her to join their ministry. 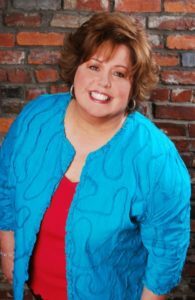 During her years with The Speer Family, Sue received four Dove Awards for Female Vocalist of the Year and has since been inducted into the Gospel Music Hall of Fame for her years with The Speer Family. Four years after joining The Speer Family, Sue met the love of her life, Amos Dodge. Their love story is one of the most touching and humorous “love at first sight” stories you will hear. Amos and Sue celebrated 45 years of marriage this year. In 1979, Amos and Sue founded Capital Church in a suburb of Washington DC. Forty years later, Capital Church is thriving and reaching nations for Christ. That same year, they founded the Lincoln Memorial Easter Sunrise Service, where over 8,000 people now gather to celebrate the risen Savior at the break of dawn each year on Easter Sunday. Washington Magazine named the sunrise service #5 on their “bucket list” of things to do when visiting Washington DC. Amos and Sue have retired from pastoring Capital Church, passing the baton to Travis and Tara Goodman. 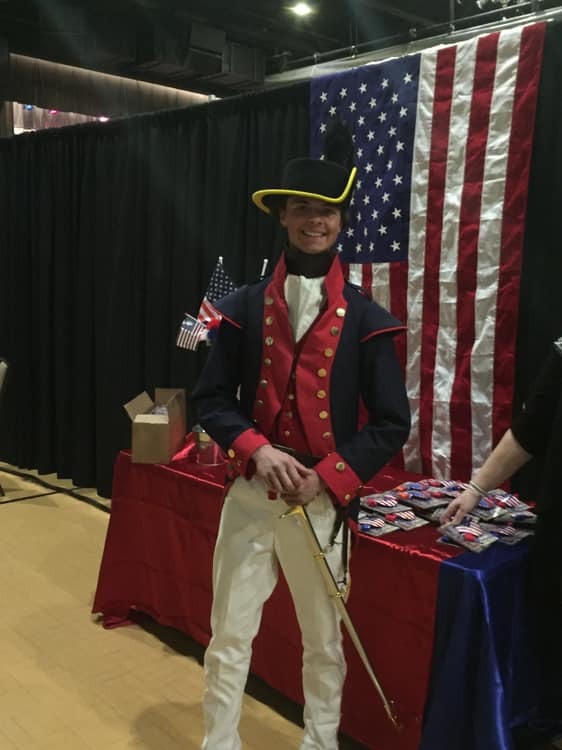 Travis is the grandson of Howard and Vestal Goodman and is carrying the legacy of reaching the nations for Christ. Sue is back on the road in full-time ministry now. 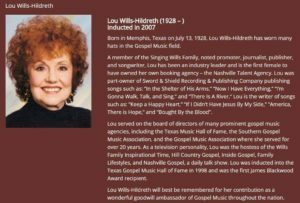 She has an enormous legacy in the Southern Gospel music industry, having sung in 18 countries, received numerous prestigious awards and even accolades from former President Ronald Reagan, who told her that her performance of “God Bless the USA” rendered him speechless. 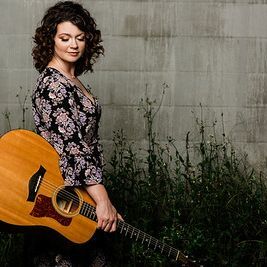 Visit Sue on Facebook at https://www.facebook.com/sue.dodge.5 and like her page to keep in touch and visit her website at: www.suedodge.com to see where you can hear her in concert. Posted in announcements, artists | Comments Off on Sue Dodge Celebrates 50 Years of Ministry! 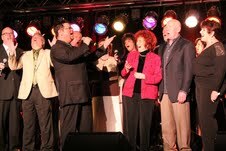 First Day of Southern Gospel Weekend a blast! 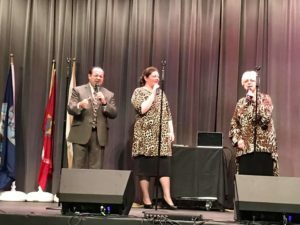 Oxford, Ala. (March 22, 2019) – The first day of Southern Gospel Weekend was filled with numerous gospel artists and styles, from the Bluegrass sound of Eagle’s Wings to the Country gospel stylings of Tonja Rose and Jessica Horton. 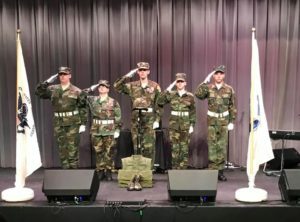 Fans began filling the auditorium at 5:00 p.m. and the excitement grew as the First Responders and Veterans began entering the hall, after a special private reception with the artists. 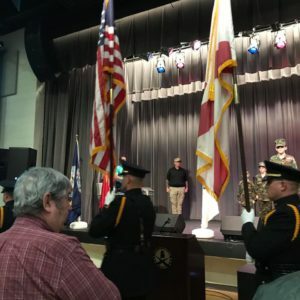 The Veterans Appreciation event began the evening with the presentation of the flags, followed by keynote speaker Ken Rollins, who honored the Veterans and First Responders for their service. Special music by Mark209 and Matthew Wilson of Eagles Wings. 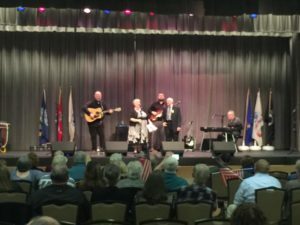 The musical portion of the evening was very well received, with artists like Mercy Rain, the Williamsons, New Ground and ClearVision Quartet. After the concert, many went to eat at Hubbard’s Off Main, where the Midnight Prayer portion was led by Tonja Rose. We hope you enjoy the images we have captured for you. Please note, for any that are in the Oxford, Ala., area: All day Saturday there are events in the Civic Center. Most are free admission. Be sure to catch the Diamond Awards Top 10 big reveal. 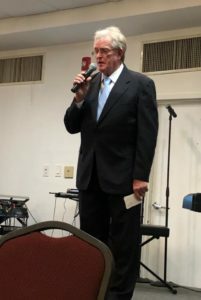 Posted in announcements, artists | Comments Off on First Day of Southern Gospel Weekend a blast! 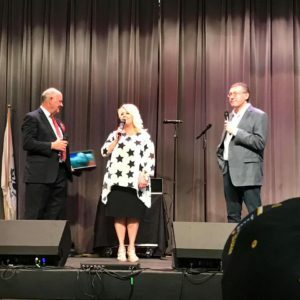 The Top 10 nominees in the 2019 Diamond Awards will be announced live at a Finalist Reveal Party during the Southern Gospel Weekend event in Oxford, Alabama. 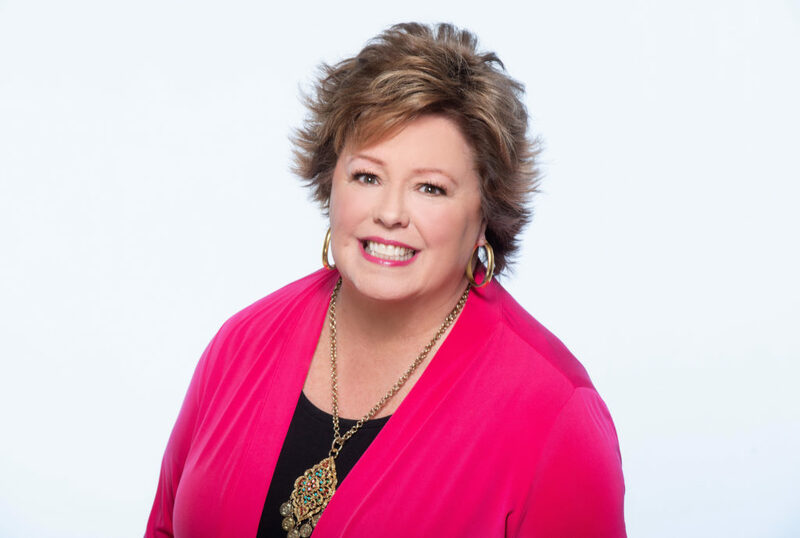 Jean Grady of Gospel Music Today will be announcing the top ten finalists in each gospel music category on a Facebook Live Event, Saturday, March 23 at 2:00 p.m. (CST). 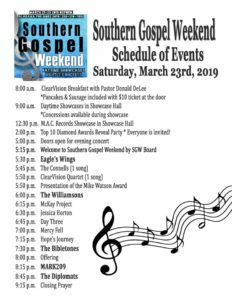 Southern Gospel Weekend will once again host the Reveal Party during the full schedule of events planned for the last day and evening of the festival. 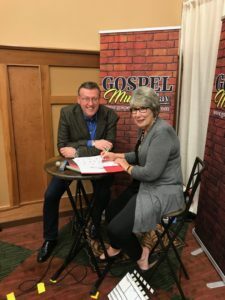 Rob Patz and Jean Grady discuss the 2019 Diamond Awards. All those in the Oxford, Ala., area are invited to come to the Oxford Civic Center for more great music tomorrow. General admission is free. Artists include Eagle’s Wings, the Connells, the Williamsons, the McKay Project, Jessica Horton, Day Three, Mercy Fell, Hope’s Journey, the Bibletones, Mark209, and the Diplomats. This great lineup starts at 5:00 pm following the 2:00 p.m. Finalist Reveal Party. For more information, call 256-310-7892. 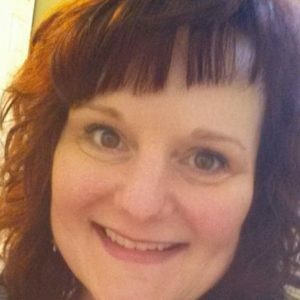 Jessica Horton: Do you believe in Amazing Grace? When you think about it, we might as well just say, “by the skin of our teeth” because the phrase is so common and inadequate. Don’t get me wrong – God is most definitely working and applying grace to every aspect of our lives! He fills in our shortcomings more times than we will ever know. But we cannot forget how precious His gift truly is. When I met Jesus, and I accepted Him into my heart, the “old” man was washed away, and the “new” man was born. My sins, great and small, were forgiven in an instant. God didn’t think about it. He didn’t weigh the pros and cons. He didn’t look at my past and have critical comments about my ability to make better choices in the future. He took the payment, made by Jesus, and marked my transgressions “PAID IN FULL.” As the old song says, He “overlooked my fault and saw my need.” How precious! Thank you for the precious gift of Your grace. Make us more aware of Your presence and the way You move in our lives every day. Give us hearts that love Your people the way the You love them. Amen. 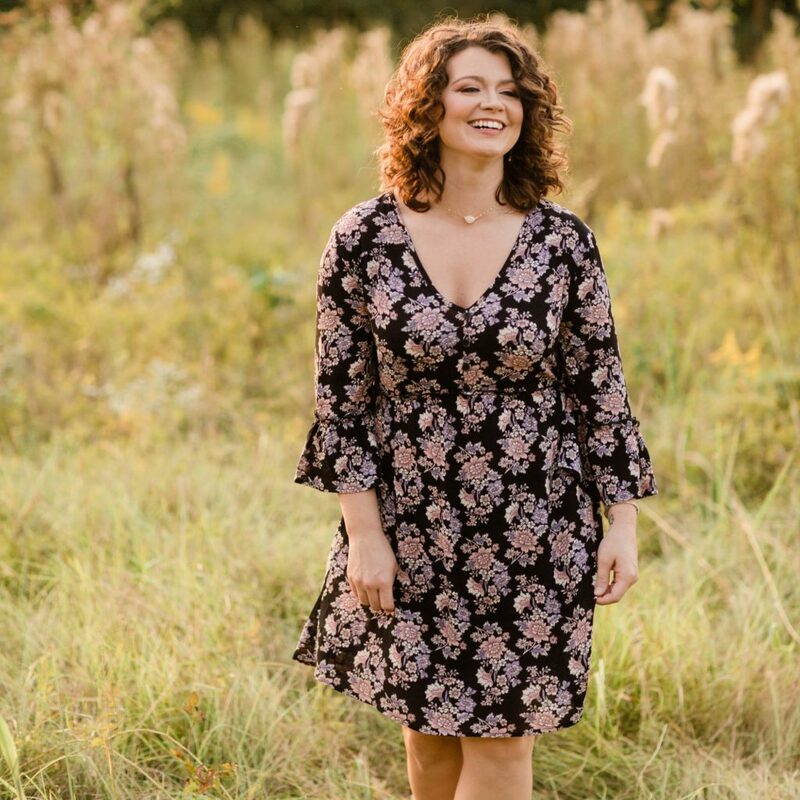 Posted in artists, sgn scoops magazine | Comments Off on Jessica Horton: Do you believe in Amazing Grace? Editor’s Last Word: You can do it in 2019! Happy New Year! As we head into the month of January, I hope that you had a lovely Christmas season and were able to reunite with family, friends and loved ones. For those that had an empty chair this year, our hearts grieve with you. For those that added an extra space, we rejoice. You never know what is ahead for the next 12 months, but one thing is for sure: God does. God knew what he was doing when he gave the Wisecarvers their talent and the desire to use their gifts for him. What a great example of the many family groups that have begun to really shine in the last few years. If you haven’t had a chance to hear them, you need to seek them out and listen to their music. We were thrilled that Dixie Phillips had time to chat with this family and to share their story in SGNScoops. 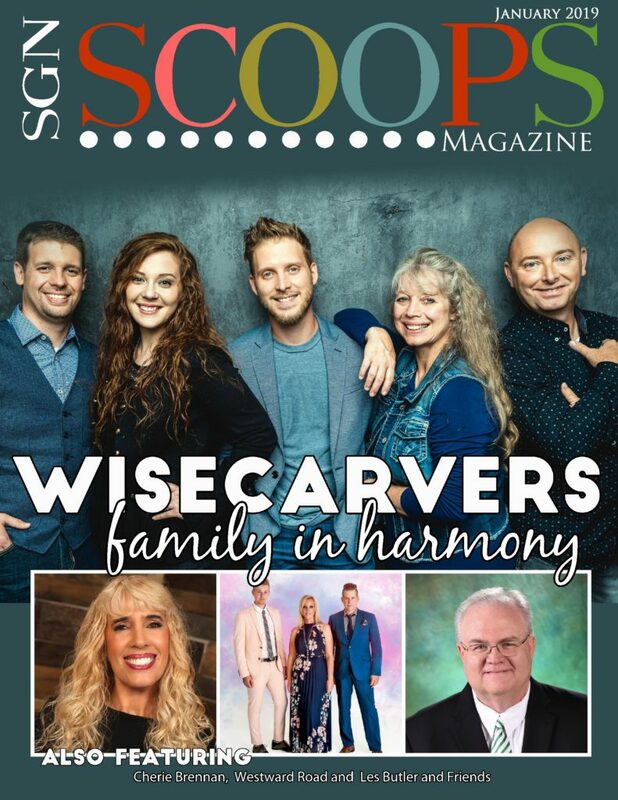 Congratulations to the Wisecarvers for being our first cover story for 2019! You will find the thread of family throughout this magazine, as I’m sure you have noted by now. Westward Road, Endless Highway, the Rochesters, and even Charlie Griffin’s feature – an abbreviated version of the history of Southern gospel music – emphasizes the role that family harmony plays in all genres, but especially in gospel music. For many of us are not blood relatives as such, but we are family because we believe in the saving power of the blood of Jesus Christ. One of our lessons, while we are here, is to learn to love each other. I pray that this year, I will find ways to show love, caring, and appreciation for fellow believers. Will you join me? As we turn the page to a new month, new year, new calendar, many people make goals and lists of how they will grow or improve in the upcoming weeks. I’d rather pray that the Lord will help me draw closer to him. But I also have to admit that I have a sinking feeling when people mention resolutions. When I look at some of the years gone by, I know that those resolutions have also gone by the wayside. Some have been shelved and others have just stalled. Do you ever feel that way? May I encourage you, as I am trying to encourage myself now, to find your hope, peace, and joy in the Lord? He tells us that if we believe that he is our source of strength, then he will be what we need to hit that resume button on goals or plans to use everything he has given to us to be able to mature into the person that can serve him with excellence. Whether that means you become healthier in body, mind or spirit, or whether you expand your knowledge of the Lord and his word, or whatever he has given you to do this year – you can do it. The Lord will enable you to do what he has asked you to do. Find out what that is. Let’s grow together in 2019. 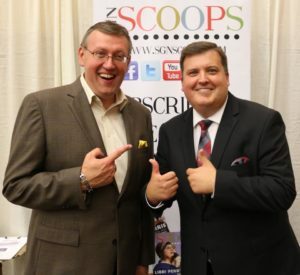 Posted in Christian interest, sgn scoops magazine | Comments Off on Editor’s Last Word: You can do it in 2019! Happy New Year! Starting a new season is a great time to reflect on the terrific friends I have who have walked with me for years, those I have met along the way in the last 12 months, and the new ones I look forward to getting to know in 2019. Many of you I have met through SGNScoops Magazine, Creekside Gospel Music Convention, Christian Country Expo, Southern Gospel Weekend, or Coastal Media. Though we may have begun as work associates, you have become my friends and many of you have become my prayer partners. Thank you all for your support and prayers over the last year. Through the good times and the bad, you have been there for me, upholding me with your prayers, words of comfort and texts of support. I know that 2019 is going to be even better as we follow in the Lord’s steps together. Thank you for your friendship. God bless you in this brand new year. 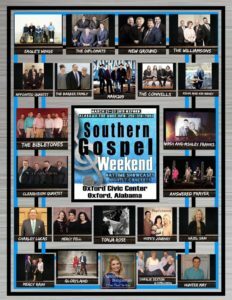 Gospel Weekend in Oxford, Alabama, on March 21 – 23, 2019. We will enjoy three great days of gospel music in Alabama. We want you to be there and enjoy worship and fellowship with us! Also, make plans to be a part of Creekside Gospel Music Convention 2019, Oct. 27 – 31, for five incredible nights and four great days of gospel music in Pigeon Forge, Tenn. We are going to have a terrific time and we want you to be there. Email me for details about either of these events, or how the Lord is changing your life, at rob@sgnscoops.com. This is the Publisher’s Point for January 2019. 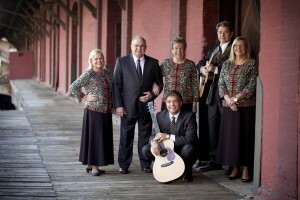 Pigeon Forge, Tenn. — Creekside Gospel Music Convention is pleased to welcome back the Hyssongs to their 2019 lineup. This annual event features over 50 gospel music artists with Southern, Bluegrass, and Country styles all represented. 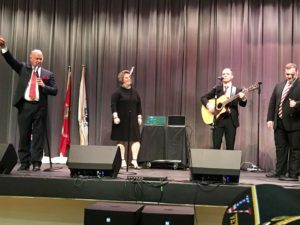 The Hyssongs return to Pigeon Forge, Tennessee, during the Convention dates of Oct. 27 – 31, at the Smoky Mountain Convention Center. 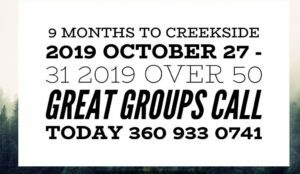 Creekside 2019 will be held in Pigeon Forge, Tenn., Oct. 27 – 31. 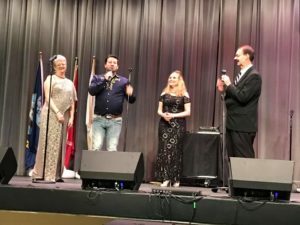 The event features the 2019 Diamond Awards, daily showcases and evening concerts, special speakers, and midnight prayer. For more information on lodging, VIP tickets, and convention details, contact Rob Patz at rob@sgnscoops.com, or at 360-933-0741. For news and event updates, click on the Creekside Facebook page. 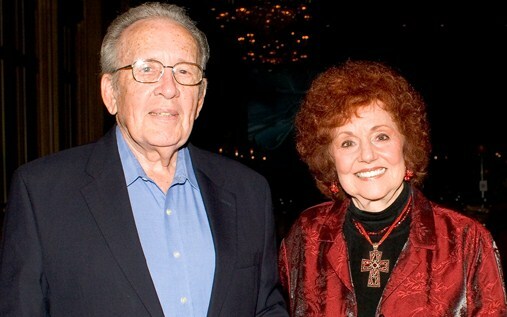 We at SGNScoops are saddened to hear of the passing of Howard Hildreth, loving husband of Lou Wills Hildreth. 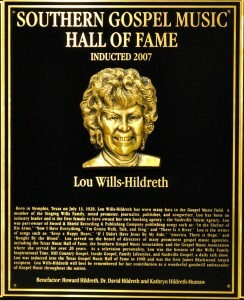 Among many other achievements in Gospel music, Ms. Lou was a writer for SGNScoops for many years. Many of us treasure her friendship and grieve with her and her family in their loss. Howard Elton Hildreth, Jr., passed away on December 26. He and his beloved Lou had been married for 72 years. Howard also leaves behind their son, David, daughter, Kathryn, and four grandchildren. In lieu of flowers, the family has asked that a donation be made in Howard’s name to the SGMA Hall of Fame, in Pigeon Forge, Tenn. It is always an honor to be included in this excellent magazine. It has been awhile since I have contributed an article, but be assured my desire remains the same as before – to share blessings and honor our heavenly Father. Howard and I are living comfortably in a Senior Retirement Center in Houston, Texas. We are thankful that our daughter Kathryn and our son David live nearby. We have four grandchildren who visit us often. Yes, we are blessed! One of my favorite bible verses is 2 Timothy 1:7, “God has not given us a spirit of fear, but of power, love, and a sound mind.” The other scripture is Matthew 5:16, “Let your light so shine that others will see your good works and glorify God.” And we know without a doubt, our salvation comes by our trust in Jesus Christ and the cross, not of works, lest we boast. Dear readers, let me share a wonderful event that brought so much joy to this old heart. My brother, Bob Wills, carries on the Singing Wills Family legacy. 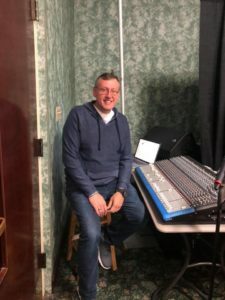 He hosts a gospel music event every Friday night at Dove Creek Café in Roanoke, Texas, serving the Fort Worth-Dallas areas. 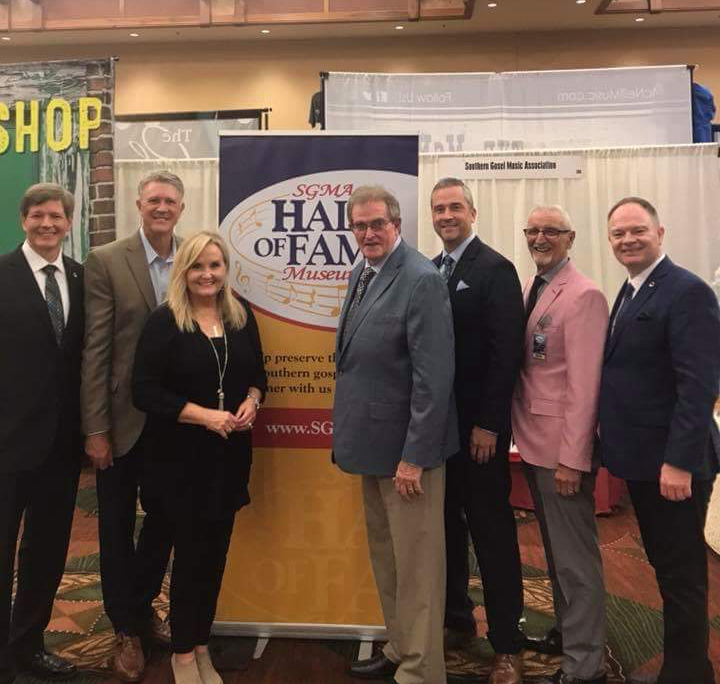 On June 22nd, a dear friend – Dr. Eddie Reynolds, Emmanuel Baptist University of N.C. – came to Dove Creek and presented Bob Wills, Curtis Elkins, Regina Huckaba, and me with beautifully framed “Honorary Doctor of Music” certificates. Mary Fay Jackson was there with her video camera to record this for the Jones Family Network. This was such a great honor and I loved sharing it with my precious family and friends. My fabulous daughter Kathryn drove us to Ft. Worth and we had so much fun! All of us at SGNScoops extend our love and prayers to Lou and all of the family and friends of Howard Hildreth.